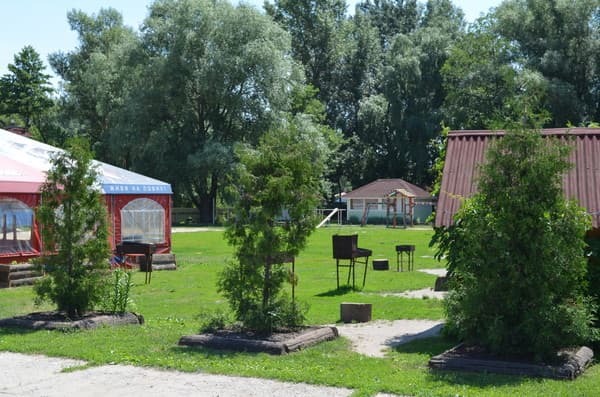 In one of the most picturesque areas of the city of Sumy, on the bank of the river Psel there is a recreation center "Vityaz". On the vast territory of the recreation center there is everything necessary for a good rest. 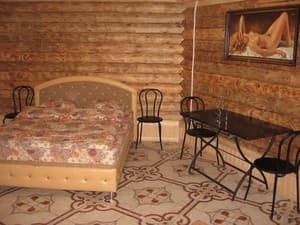 The hotel rooms of the Vityaz base are open all year round. 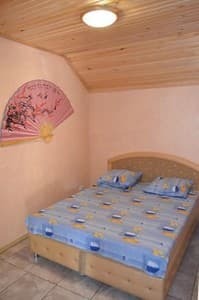 All rooms are equipped with furniture, TV, refrigerator, bathroom and shower. The hotel offers a 24-hour free secure parking and wireless internet. 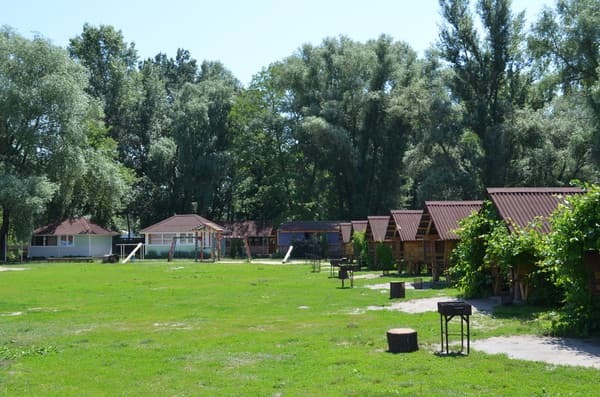 Also on the territory there is a sauna and a sauna, a well-kept beach, pavilions. 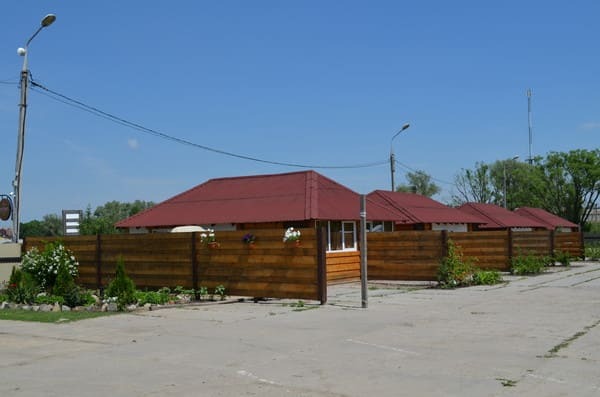 Living in the hotel "Vityaz" have the opportunity to visit the cafe located on the river bank, from the windows of which you can see the most beautiful dense forest. The distance to the city center is 5 km, the railway station is 4.5 km. Description of the room: Cosy room for 2 people, equipped with everything necessary for a comfortable stay. The room has a nice heated veranda. 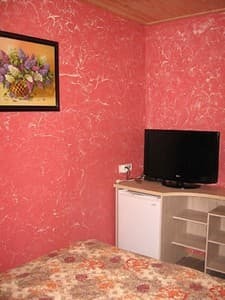 Description of the room: A cozy room with everything you need for a comfortable stay. Description of the room: Eco-friendly stand-alone building with a log house with wood trim in the inside. The room has everything you need for comfortable living and recreation. Хороший чистый номер, тихий район, турбаза стоит рядом с озером. На прошлой неделе была с деловым визитом в Сумах - остановилась в номере "Стандарт", чисто , уютно, автомобиль стоял на охраняемой территории базы, рядом с номером, очень удобно. Приветливый персонал, предложили ужин, я выбрала шашлык и фирменный салат - осталась очень довольна, шашлык нежный, просто божественный! Утром попросила завтрак в удобное для меня время - официант принес в номер ( блинчики с творогом и ароматный кофе)! Очень теплая атмосфера в этом мотеле, да и место расположения классное - на берегу речки, красиво). Обязательно приеду к вам еще! База отдыха находится на берегу речки . Хорошая кравать. Парковка возле домика. Домик имеет два номера и шумоизоляции нет никакой. Слышно что в соседнем номере происходит. Кухня не понравилась. Никому не рекомендую брать шашлык или мне так повезло но он был просто ужасен. 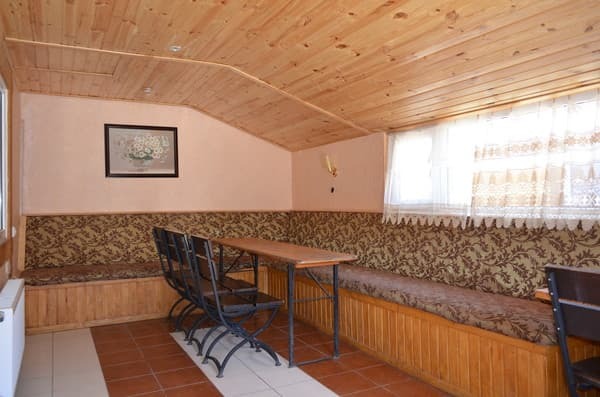 Extra bed for children is available for a fee - 100 hryvnia. Without additional sleeping accommodation mesta- child free. Located on the banks of the river Psel (Bass district). The distance to the city center - 5 km / railway station - 4.5 km. From bus center №59 (a distance of about 5 km). From the railway vokzala- bus 59A (a distance of about 4.5 km). 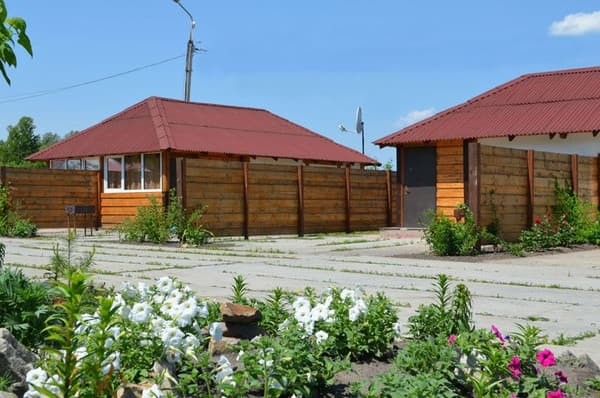 Go to the stop "Mounting" from the stop 100 meters to the right in the direction of the river, to the recreation center "Vityaz".